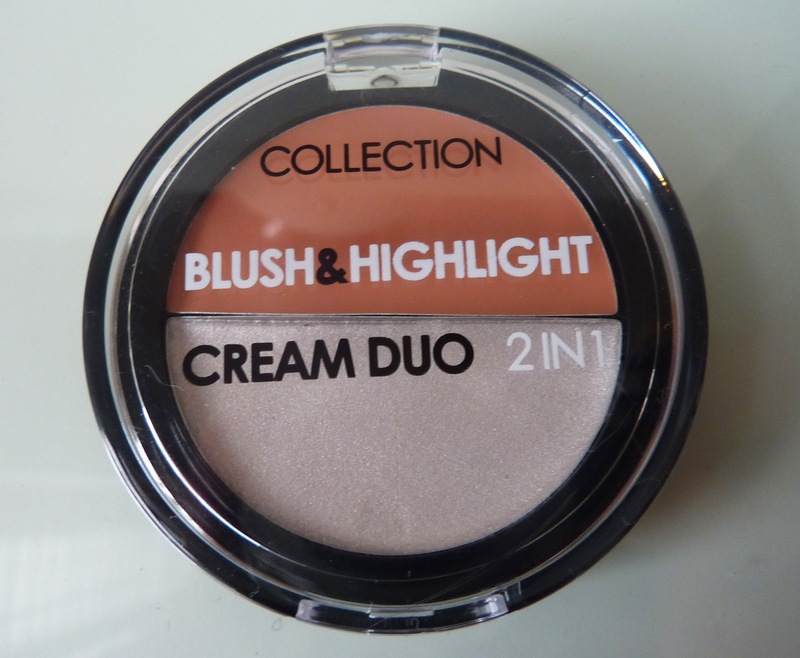 Finally a cutting edge cream blush from an affordable high street beauty brand. When I heard the collection were launching a cream blusher I was thrilled! For some reason high street brands have been slow on the uptake when it comes to my much coveted cream blushers. There are very few brands that feature them in their permanent line, and even fewer that pack a punch. This nifty blush duo from Collection is out now and available in two shades Peaches & Cream and Strawberries & Cream, cute huh! I swatched both on my hands and face and opted for Peaches & Cream. The "Strawberry" one is gorgeous but I have plenty of pink blushers and it reminded me a lot of MAC Casual Colour in Weekend Getaway. In the pan Peaches looks quite apricot/orangey. Yet on the skin it's a gorgeous peach with a hint of pink. What struck me most was how pigmented they both were. There's a brilliant colour payoff that's often missing from "cheaper" blushers. The highlighter is lovely too and gives a frosty, creamy sheen with a hint of glitter. The only down side is the size. The pot is very small and I struggled to fit a brush in just one half. I've found it's easy to use a finger to apply to the blush to the cheeks, then use a brush to blend out. As for the highlighter, I use my fingers to pat it on the cheek bones, brow line, cupids bow or anywhere you wanna glow! As for the texture, it's creamy and very easy to apply. Not too thick or too thin, it's just right. 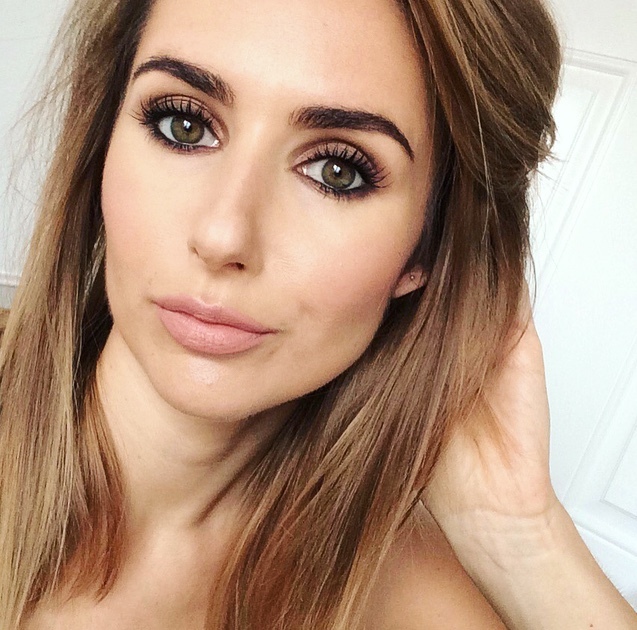 It applies quite sheer but is very buildible and dries with a beautiful dewy, glow. It lasts around 6-8 hours, but its pocket friendly size makes it handy for touch ups. Looks lovely, but I manage to make a mess out of my makeup products- this would probably be neat for a day.